Omg! Staying at Manila Shangri-La Hotel even for a night is my dream! Thanks to Fisher Farm, my dream is now possible. Why? 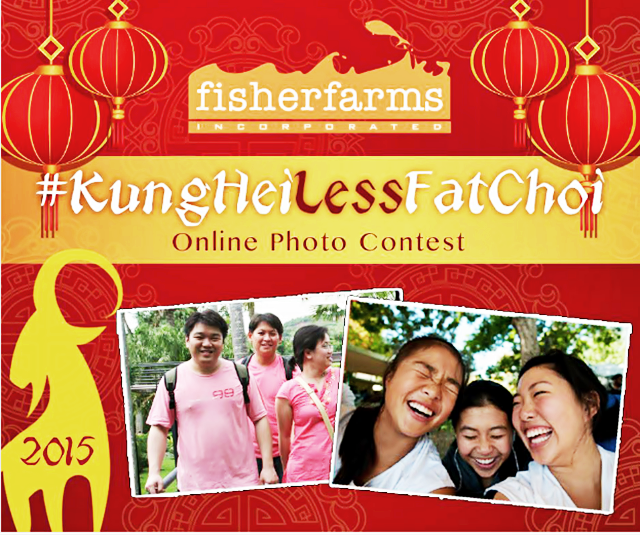 Because I will be joining Fisher Farms’ #KungHeiLessFatChoi Online Photo Contest. Fisher Farms Inc., is the manufacturer of my favorite Shark size "Rellenong Bangus." Whoah! I am salivating now just by thinking about Fisher Farm's wonderful dish. I am so in love with Fisher Farms wonderful product line I had it everyday of the week last Christmas season. You ought to try their products too! Anyway, for the record girls and guys, Fisher Farms Inc., is a world-class aquaculture food processor that supplies farm-raised seafood to major restaurants and food manufacturers here and abroad. I wanted to keep this information for myself. But, because I love you dear readers, I am actually be sharing the big secret on how to win my dream staycation. Secret Way to win the Fisher Farms overnight stay at the Manila Shangri-La Hotel plus Fisher Farms goodies! And tan ta ra ran....the secret is....Just share how you and your loved ones are welcoming the Chinese New Year the healthy way in #KungHeiLessFatChoi Online Photo Contest!